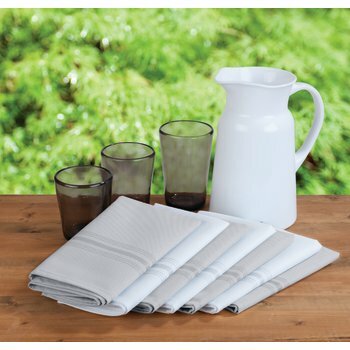 Advance stain release technology; liquids absorb quickly; proven soil release for tough-to-remove stains. Excellent resistance to pilling and snagging. All fabrics are dyed to match, allowing different weaves to be mixed and matched. 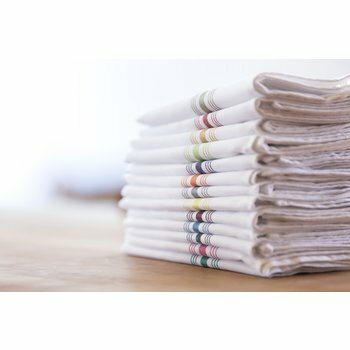 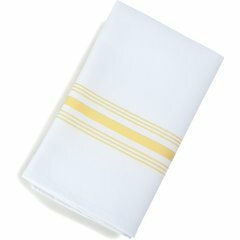 Ideal for napkins, tablecloths, overlays, table toppers, hat box and box corner tablecloths and skirting. 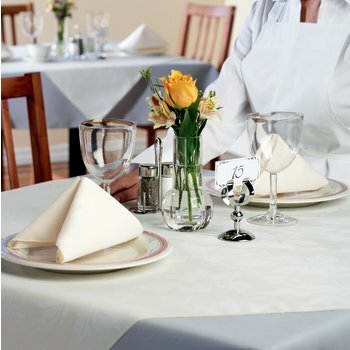 For added durability and noise reduction, choose from our selection of table padding. 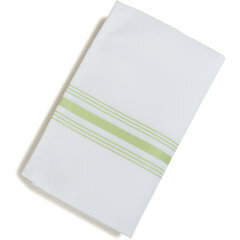 All skirting shipped in a heat sealed, polybag on a FREE storage hanger to help keep fabrics clean and wrinkle free. 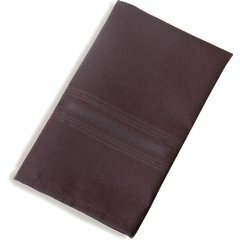 These napkins hold their color and don’t bleed like the competition. Plus our stripes offer. 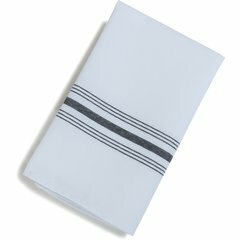 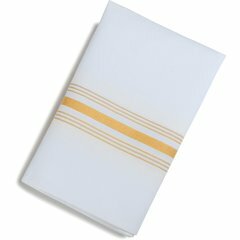 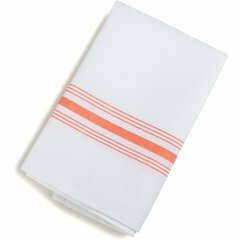 Achieve the spirit of farm-to-table with the authentic look of Marko’s Epicure SoftWeave™ Striped Napkins.